Imagine waking up on a Sunday morning, little by little your window blinds are opening, letting the sun in. Imagine as you’re getting ready to go to sleep, your blinds close without the touch of a button. Does the thought of scheduled motorized blinds sound like something in the far future? Think again! Smart homes are getting more popular by the minute. Thanks to continuously evolving technology and intelligent software, you can simply control your ‘window blinds at home’ from your phone or tablet. It’s as simple as installing the application on your phone, program your motorized window blinds to the position and time you want them to be. Having large windows in rooms such as a bedroom or bathroom can intervene with your personal privacy, especially when you have neighbours living close by. Schedule your blinds to close in the morning before taking a shower, so no one can peek in. You can control all your blinds in your home from the convenience of your couch or car by pushing a few buttons. It adds luxury to your home in a way you’ve never experienced before. There are no cords and you don’t have to get up. Although it requires an investment, motorized window blinds improve a home’s functionality. In turn, this will increase your home’s market value. Investing in your own home is important and you should never see this as a waste of money. A lot of people forget that not only the outside of your home can get damaged by the sun, but so can the inside. Furniture, wall art, can start to fade over time when it comes in contact with direct sunlight . That’s where scheduled motorized blinds come in handy as they can be programmed to close when the sun is at its sunniest and open after the sun has moved. This way, you protect the inside of your home, which also contributes to the next benefit, climate control. 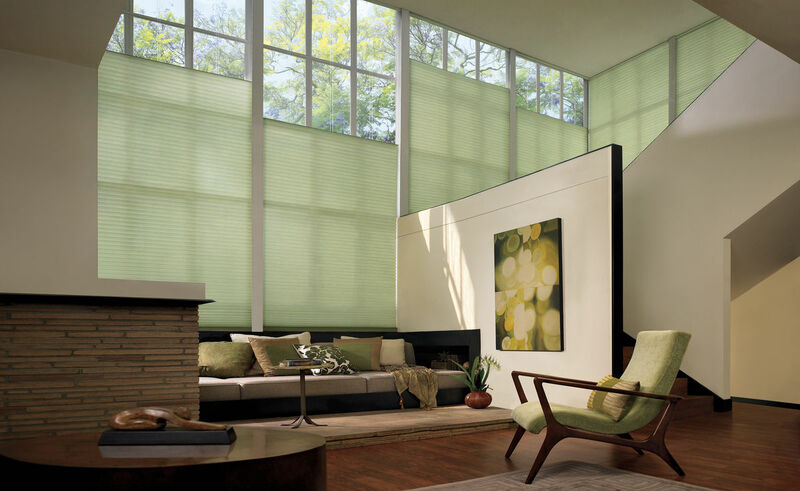 During the hot summer months, blinds which close automatically can save a lot of energy. It’s a great, more affordable and a greener way to go to keeping your home cool. Again, programming blinds to close when the sun peaks will contribute to a fresher space. When you’re away or on vacation you can use motorized blinds to make it look as if you’re home. By scheduling your blinds to operate while you’re away, the chances of an intruder entering your home is significantly lower. Most burglaries happen when home-owners are away for a long periods of time. Using motorized window blinds creates the illusion of traffic in the home, even when they’re really not. These are just a few benefits in using motorized window blinds, but there are so many more! It’s a luxury that adds value to your home and a greener way of keeping your home safe and cool. If you’re in the market for motorized window blinds in Toronto, the GTA, Woodbridge, Mississauga, Scarborough and more, consider Cadillac Window Fashions. We provide excellent personalized service you’d expect to receive from a reputable, friendly family owned business. Our success is derived from our customer satisfaction, and after over 30 years in business we still enjoy what we do each and every day. Several customers enjoy our complimentary in-home consultations and other prefer visiting our showroom conveniently located to view our vast selection of window treatments suited to every budget and décor. Have a look at our website, Facebook page or Instagram page and we welcome you to get a free quote from one of our Design Specialists.